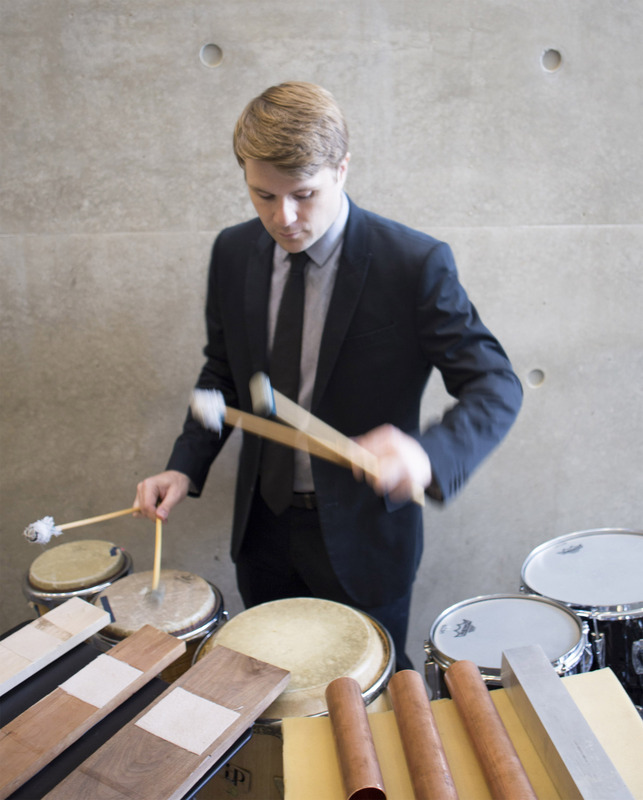 Dustin Donahue is a percussionist based in Los Angeles. As an advocate for contemporary music, Dustin has commissioned and premiered a large body of solo and chamber music by living composers while continuing to perform music of the twentieth-century avant-garde. He frequently performs with the International Contemporary Ensemble in New York and collaborates with many of southern California’s presenters of contemporary music, such as WasteLAnd, the Ojai Music Festival, Monday Evening Concerts, Jacaranda Music, and San Diego New Music. As a soloist, Dustin has been featured at the Los Angeles Museum of Contemporary Art, the Carlsbad Music Festival, the John Cage Centennial Festival in Washington, D.C., and Mengi in Reykjavik, Iceland. He appears on several releases for Mode Records and Populist Records. He holds a DMA from the University of California – San Diego where he studied with Steven Schick, and a BM from the University of Wisconsin where he studied with Anthony Di Sanza.